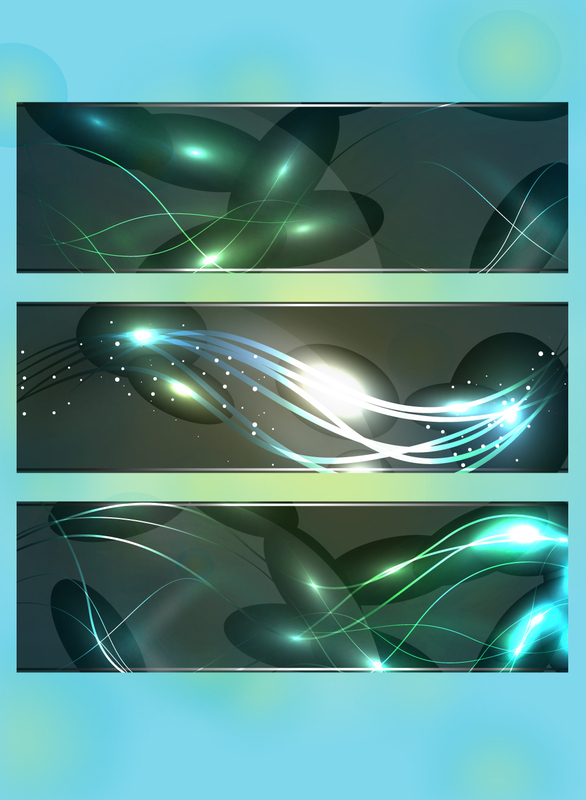 Abstract banners featuring lighting effects and futuristic shapes. Overlay transparencies create interesting colors and shapes. Will look new, dynamic and interesting with each different color background you apply the to. Zip file comes with AI, PDF and JPEG file formats. Tags: Banner, Glow, Graphics, Layout, Lighting, Template, Vector, Waves.